Monsters Inside Me: Til Death Do Us Part? 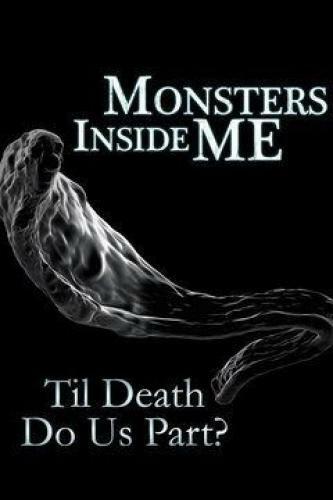 Home / All TV Shows / Monsters Inside Me: Til Death Do Us Part? When will be Monsters Inside Me: Til Death Do Us Part? next episode air date? Is Monsters Inside Me: Til Death Do Us Part? renewed or cancelled? Where to countdown Monsters Inside Me: Til Death Do Us Part? air dates? Is Monsters Inside Me: Til Death Do Us Part? worth watching? Monsters Inside Me: Til Death Do Us Part? is the 4th spin-off of the highly successful franchise "Monsters Inside Me" that also airs on Animal Planet. First comes love, then comes marriage, then comes a mysterious culprit taking the breath out of a son's lungs; a married couple in California must figure out what has taken over their son's body as it marches him toward death's door. A picture-perfect couple in North Carolina has an invisible invader lurking in their home; what starts as sensitivity to light soon spirals into rashes, bleeding sinuses, and eventually, short-term memory loss. During a family vacation, a wife and mother of two notices strange cramps in her abdomen; soon she develops terrible rashes and her abdomen continues to swell. Monsters Inside Me: Til Death Do Us Part? next episode air date provides TVMaze for you. EpisoDate.com is your TV show guide to Countdown Monsters Inside Me: Til Death Do Us Part? Episode Air Dates and to stay in touch with Monsters Inside Me: Til Death Do Us Part? next episode Air Date and your others favorite TV Shows. Add the shows you like to a "Watchlist" and let the site take it from there.